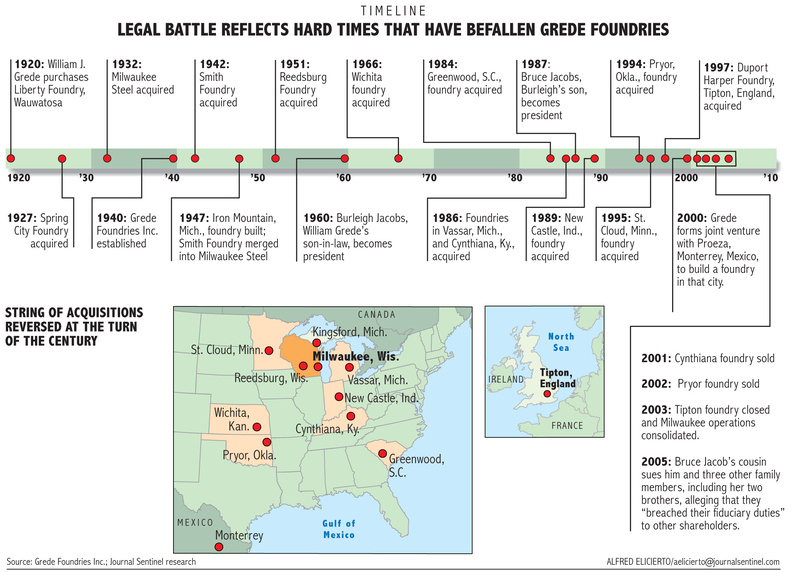 Grede Foundries Inc. was among the pillars of Milwaukee business and industry. It was founded in 1920 by William Grede who, after buying Liberty Foundry in the Milwaukee suburb of Wawautosa, embarked on a program of acquisitions that saw the growing company acquire Spring City Foundry in 1927, Milwaukee Steel in 1932, Smith Foundry, in 1942, and a string of other metal casting operations in Michigan, Kansas, South Carolina, Kentucky, Indiana and Oklahoma. During the best of times, Grede even owned a foundry in the United Kingdom. For a detailed look, click here to view a PDF of this graphic. But hard times fell on Grede Foundries at the turn of the century. 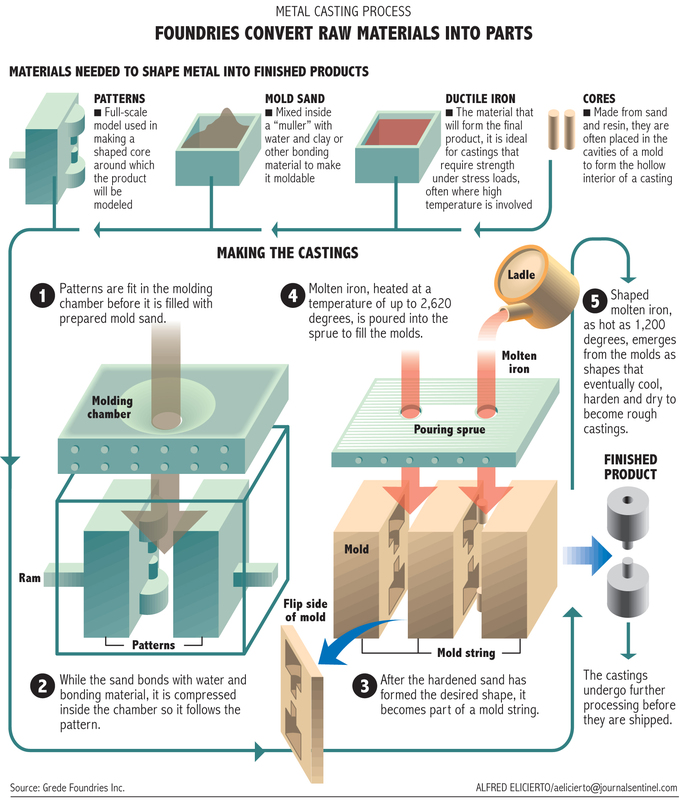 Slowing business in the metal casting sector forced it to either close or sell off unprofitable operations. 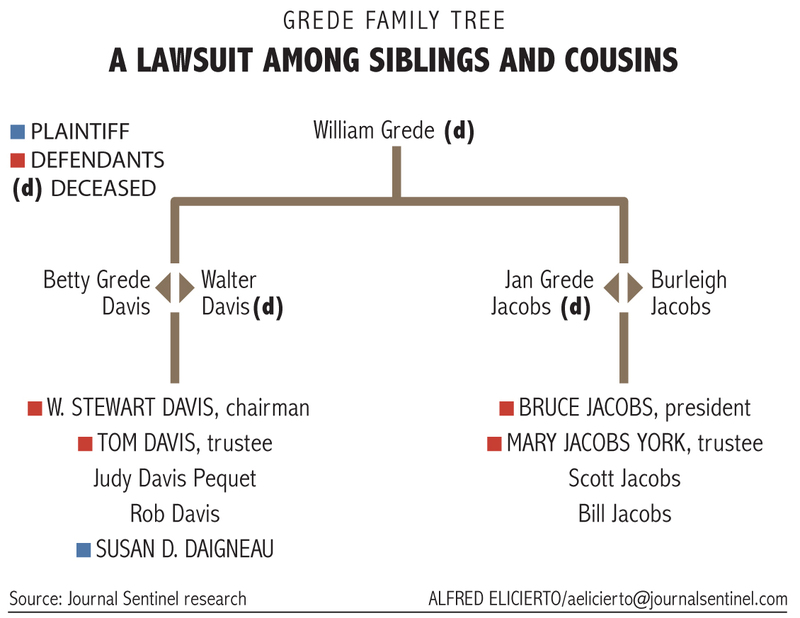 Business woes were aggravated by a messy legal battle among Grede siblings and cousins. For a close look, click here to view a PDF of this graphic. 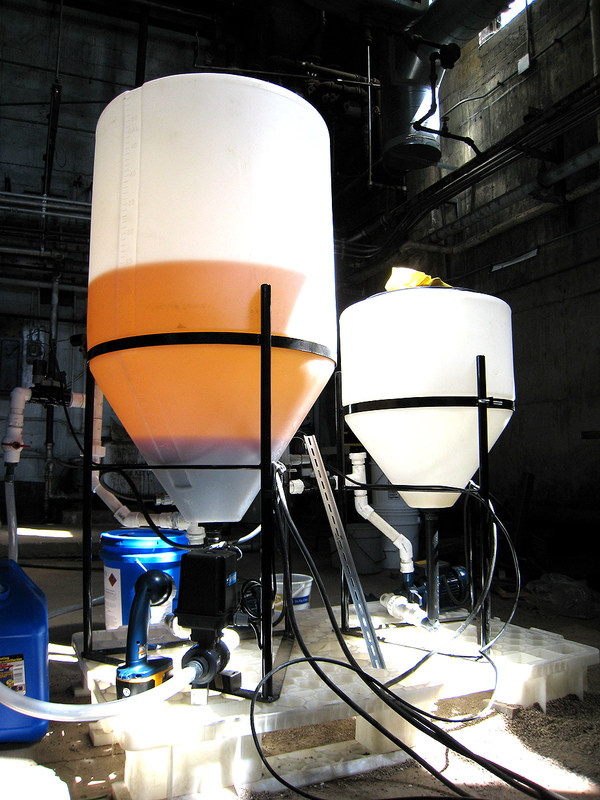 On June 30, 2009, Grede Foundries filed for Chapter 11 bankruptcy protection in the U.S. Bankruptcy Court of the Western District of Wisconsin. Richard Koenings, chairman of the board, cited the impact of the harsh economic downturn, particularly the automotive industry. Wayzata Investment Partners LLC of Wayzata, Minn., offered to provide a $45 million temporary loan facility to allow time for an orderly sale under the supervision of Bankruptcy Court. Graphics by Alfred Elicierto. Published in the Milwaukee Journal Sentinel on April 10, 2005.